Marie-Juliette Olga (Lili) Boulanger was born on 21 August 1893. When she was just two the great composer Gabriel Fauré – a friend of the family – spotted that she had perfect pitch. At the age of two she also contracted bronchial pneumonia. She survived, but the illness left her immune system weakened for the rest of her life. Her mother was a Russian princess who fell in love with, and eventually married, her Paris Conservatoire teacher Ernest Boulanger and both her grandparents (on the Boulanger side) had been musicians. Lili herself played (deep breath) piano, violin, cello, harp and organ. Oh and she sang. 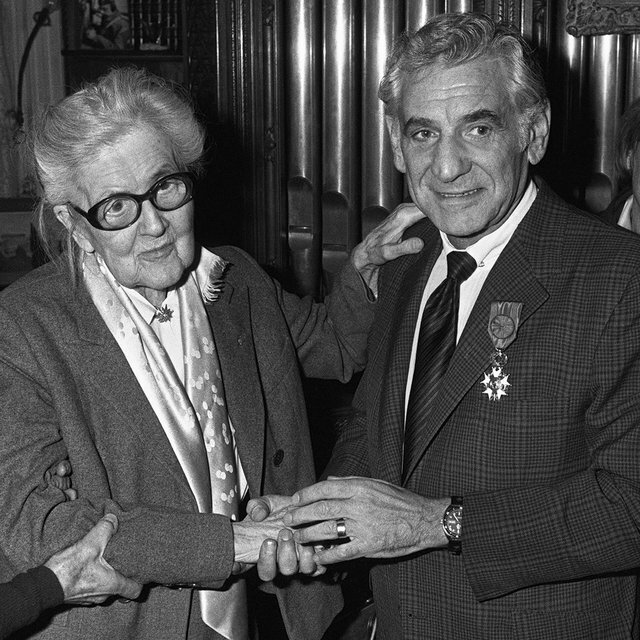 The Prix de Rome was the most prestigious honour for artists. It was a prize, first awarded in the 17th century, that allowed the winner to live in Rome for three to five years, all expenses paid. In the 19th century it was awarded to a composer for the first time. In 1913 Lili Boulanger became the first woman to win the Prix de Rome… though the judges couldn’t quite bear to let her enjoy the honour on her own. So they also awarded first prize that year to Claude Delvincourt. It’s the piece that gave the Prix de Rome judges no choice but to give her the award. The rules of the competition stated that the piece had to be written in four weeks. So that’s what the precocious 19-year-old Lili did. It’s 30 minutes long and is written for a full orchestra. It tells the story of Faust, the man seduced by the power offered by Mephistopheles. And the music Boulanger uses to tell the story sounds Wagnerian, with hints of Debussy. It’s no surprise it won the most prestigious prize of the day. In her own time she was noted for her lush harmonies, instrumentation and elegant text setting. Lili was 24 when she wrote this piece. She dictated the piece to her sister from her sick bed. The text asks Jesus to grant someone ‘everlasting rest’. Her sister was so affected by Lili’s death that she stopped composing and turned her attention to teaching. She went on to become one of the most renowned teachers of the 20th century and taught composers including Aaron Copland, Elliott Carter, Thea Musgrave, Leonard Bernstein and Philip Glass. Lili may have only lived for 24 short years, but there are plenty who admire her music – including the jazz pianist Herbie Hancock, who calls her one of his favourite composers. This year marks the centenary death. Perhaps 2018 will be the year her genius gets the attention it truly deserves.